Friso Growing Up Together Page is for Malaysian parents to share and discuss parenthood joys and stories. Drop by regularly for latest Friso happenings and useful parenting tips that will help you and your child enjoy the growing up journey together. 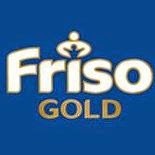 Friso Gold is a brand under Royal FrieslandCampina, a multinational dairy company that started way back in 1879, as the world’s first dairy company. We are fascinated by the power and potential of milk, and we firmly believe there is much more to discover about both milk itself and the value we can create from it. Having more than 130 years of commitment to sustainable dairy, we continue to strive for ever higher levels of excellence, displaying innovation, leadership and entrepreneurship in all that we do.